But the thought of writing a memoir seems to me a distant, fantastical reverie. Where would it start? Where would it end? And perhaps above all, would I want the depths of my soul to be accessible to the world at large? Many experiences I hold close to my chest, shielded from judging eyes. And yet, the opportunity to leave my mark through my story has proved difficult to ignore. I read to connect myself to the world around me, and I write to make the world seem a little smaller and kinder. I write what I’d like to read myself. I read to connect myself to the world around me, and I write to make the world seem a little smaller and kinder. I joined Pink Pangea’s Memoir Writing Workshop to explore ideas for a memoir of my own and get a sense of whether I’m ready to embark upon such an enterprise. As participants, we were posed questions to get the ideas flowing, to consider what a memoir means to each of us and how it would feel to share our stories with the world. I thought about my story. When I was young I suffered from a medical condition that went undiagnosed, although I visited many doctors of many kinds. Eventually the symptoms wore off, and it seemed that the mysterious ailment had passed. As an adult, however, a doctor with a discerning eye identified artifacts that my childhood condition left behind on my body. She was able to connect them to a new diagnosis, one accompanied by chronic pain and a difficult treatment regimen. I understood that had the disease been properly treated all those years ago, my situation today might be very different. I have carried resentment of the doctors of my youth who dismissed the havoc my body wreaked upon itself. If they had had the tools, the knowledge, to diagnose me, they would have done so. But they didn’t have those things. Why is that? Perhaps because my condition is rare. Perhaps because those who have it keep it to themselves, further perpetuating the myth that it is irrelevant, that research dollars do not need to be diverted towards its study. Maybe my hesitation in sharing my story is contributing to the likelihood that more people will suffer undiagnosed, as I did. The Pink Pangea workshop gave me a space to think about the story I’d like to tell and whether I’m ready to share it. Maybe I’ll write my memoir and maybe I won’t, but at least for now, I’ve thought about what the world could stand to gain from my story. 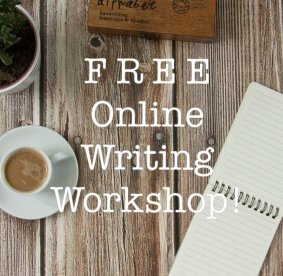 To find out more about Pink Pangea’s Memoir Writing Workshop or purchase the workshop click here.